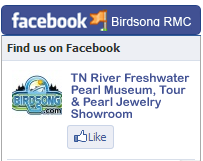 Tennessee River Freshwater Pearl Museum, Farm, Tour and Jewelry Showroom "A Pearl of a Tour" Listen to an audio Interview with Bob Keast on the Travel Planners with the Kevin & Sue McCarthy. Click to listen to part 1 then part 2 of this interview. The Casey Jones Village and Train Museum. Listen to an audio Interview with Clark Shaw on the Travel Planners with the Kevin & Sue McCarthy. Click to listen to part 1 then part 2 of this interview. 72nd District Tennessee State Representative Steve McDaniel's Biography. Click HERE to listen to an audio interview on Travel Planners with the Kevin & Sue McCarthy. Hardin County Convention and Visitors Bureau. 1830's Cherry Mansion - Savannah, TN. Click HERE to listen to an audio Interview with Mary Ann Gilchrist on the Travel Planners with the Kevin & Sue McCarthy. Henning, Tennessee home of Alex Haley author of Roots: Saga of An American Family. Click HERE to listen to an audio Interview with Mayor Douglas of Henning, TN on the Travel Planners with the Kevin & Sue McCarthy. Water. It possesses an undeniable fascination and attraction, especially when its calm surface stretches invitingly toward the horizon and the fishing's good. On a cool morning when fog shrouds a river, it takes on a mystical, magical quality that envelopes anyone nearby. Residents of Camden recognized the allure of their slice of paradise along the banks of the Tennessee River long ago, dubbing it the Magic Valley. But they're not selfish; they want you to come and experience the magic for yourself. Perhaps nowhere is the majesty of the river, dammed to form Kentucky Lake, more visible than from the tip of Pilot Knob, at 665 feet the highest elevation in West Tennessee. Pilot Knob, located in Nathan Bedford Forrest State Park in the tiny village of Eva a few miles east of Camden, served as a landmark for river navigation in the early 1800s. From the deck here, visitors can take in an expansive view of Kentucky Lake. Located adjacent to the deck is a monument to Nathan Bedford Forrest, the Confederate Cavalry officer who added to his legend during the Battle of Johnsonville when he led his men in the attack and destruction of a Union supply and munitions depot nearby. It was the first time in military history that a cavalry force had defeated a naval force. The battle was so successful for the Confederates that several Union boats, including the gunboat Undine, now sit below layers of silt at the bottom of the lake. A local nonprofit group, Raise the Gunboats, Inc. is currently working with the state to recover artifacts from the sunken ships and barges. November 4, 1864, over 141 years ago, troops under the command of General Nathan Bedford Forrest attacked and destroyed a massive Union supply depot at Johnsonville. This depot served as a major supply point for General Sherman's Army. During the battle, Forrest's cavalry also engaged and destroyed a fleet of union gunboats. This marked the only time in recorded history that land based forces defeated naval forces. Also destroyed during the battle were 17 barges, 14 transports and over 30 pieces of artillery. During the battle of the gunboats, the Undine #55 was captured by Forrest and his men and was used for a short time before being breached and burned by the Confederate Army. The Key West #32, the Elfin #52 and the Tawah #29 were gunboats that were also destroyed by the Confederate forces. They were a part of the U.S. Navy's Mississippi Squadron. The Nathan Bedford Forrest State Park was named for the intrepid Confederate cavalry leader, General Nathan Bedford Forrest, who attacked and destroyed the federal supply and munitions depot at Old Johnsonville at the mouth of Trace Creek. His operations were concentrated along the river in the area of the park and the town of Eva. The park was dedicated to Forrest in 1929 on land acquired in part from Benton County. Pilot Knob also is home to the Tennessee River Folk-Life Center, dedicated to showcasing how the Tennessee River has shaped the development of the area and its residents' lives. Exhibits explore traditional ways of life, musseling and the boom of the pearl button industry, religion, music, arts and crafts, steamboats, showboats and log rafting. Many of these aspects of river life are highlighted during the annual Tennessee River Folk-Life and Music Festival each September. Demonstrators delight visitors with lace tatting, woodcarving, basket weaving, quilting, soap-making, blacksmithing and other traditional crafts. In addition to the folk-life center, the state park offers opportunities for picnicking, hiking on about 10 miles of meandering trails, recreational activities such as horseshoes and volleyball, managed hunts, fishing and boating, and ranger/naturalist programs in the summer months or by special request during the rest of the year. While the park has no hotel, there is a group lodge and cabins, open from March 1 to Dec. 15, which can accommodate up to 64 people. A sanctuary for people and wildlife alike, this lovely area is located on the western bank of Kentucky Lake and features seven cabins opened in May of 2001, Happy Hollow camping area with 38 sites and a primitive camping area with 15 available sites. In addition, the park offers a group lodge, fishing, boating and skiing, two picnicking areas, and pavilions for group use. Trails perfect for hiking wind through the park, providing excellent views of wildlife, water and woods. Trail maps are available at the park office. If the pursuit of that granddaddy of all fish is your idea of a great time, a visit to the area is a must. Fishing for crappie, bluegill, bass, sauger and catfish are excellent and draws anglers from near and far. Whether you enjoy fishing, boating or other types of lake recreation, the area is dotted with several marinas to serve your needs. 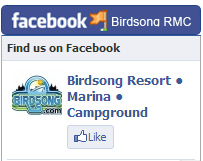 Among the biggest and most recognizable is the Birdsong Resort and Marina, a 58-acre recreational complex. Birdsong also has gained far-reaching recognition for its Pearl of a Tour, a guided pontoon tour to America's only freshwater pearl farm. Operating from May through October each year, the tour takes from three to seven hours and requires at least 15 participants and reservations. 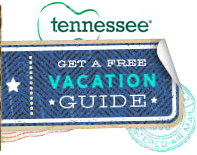 Highlights include seeing a diver surface with mussel shells, which are the heart of the freshwater pearl industry; a visit to the Tennessee River Folk-Life Center at Nathan Bedford Forrest State Park; a barbecue chicken picnic overlooking the lake and the opportunity to browse the small museum and pearl jewelry store at the resort's office. Tour costs begin at $19 per person. Camden boasts several specialty stores where visitors can lose track of the hours. Everything from discounted wallpaper to women's apparel to unique gifts fill the shelves of businesses throughout the town. Even out of view of the river a few miles to the east, the importance of water to this county seat is evident. Not all the points of interest in Camden revolve around water, however. In a wooded area three miles northwest of Camden stands a monument to a somber episode in Camden's history. On this site on March 5, 1963, a small Piper Comanche 250 plane crashed into the woods, claiming the lives of Grand Ole Opry stars Cowboy Copas, Hawkshaw Hawkins and Patsy Cline and pilot Randy Hughes, who also was Cline's manager. In addition to the monument, several displays showcase the lives of the Opry stars, especially Cline, and newspaper clippings regarding the fatal crash. Every community has restaurants that are popular with locals and visitors alike. It's not a surprise that catfish is a local specialty at restaurants. There's delectable steaks and desserts at Smarder's Grill and a menu full of choices at Country and Western. If you're driving with our window down, you can also figure out pretty quickly that you are indeed in West Tennessee. The distinctive smell of barbecue on the pit is enough to make you pull off the road even if you aren't hungry. Several spots in and surrounding Camden offer mouthwatering barbecue. For those fortunate enough to be able to stay more than a day, Camden has several motels and the area is filled with lakeside cabins, resorts and campgrounds. The reigning Queen of Country Music, Loretta Lynn, opened her very own Coal Miner's Daughter Museum on Saturday, May 26, 2001 at Loretta's Ranch in the town of Hurricane Mills, Tennessee, just thirty minutes east. This unique 18,000 square foot complex features a main lobby, a memorabilia annex and the Mooney Lynn Pavilion all under one roof. The museum is filled with Loretta's personal collection of items from her illustrious life and career over the past 40 years. The Museum features room displays depicting Loretta's school in Butcher Holler, KY and her first Nashville home. The Mooney Lynn Pavilion - like Elvis's Graceland Car Museum - features Loretta's tour bus and Mooney's Jeep (both of which were used in her hit movie) and the gold Mercedes Mooney bought for Loretta for her anniversary. The main memorabilia annex has a mini-theatre with an 80" screen and seating. A special display holds the many awards she has won as well as a wax figure with the original Coal Miner's Daughter dress. The Lady Loretta Boutique has clothing and collectibles on sale for her fans. Loretta's dream for years has been to open this new Museum, as her original Museum located in the old Grist Mill at her Ranch was too small and only held a fraction of her artifacts. This new complex has the space to hold all of her collections and provides room for her recording and publication archives. Her dream is to preserve her story and her example of determination for future generations. Also on the site is Loretta Lynn's Family Campground, Ranch, Westerntown, and Farm is found in the heart of Humphrey's County—nestled among the rolling hills of Middle Tennessee. Loretta's Family Campground is centered on the old Anderson Farm at Hurricane Mills, which she and Mooney purchased in 1966. This picturesque farm has been the commercial center for the thriving crossroads community of Hurricane Mills since before the Civil War. Within sight of the grand antebellum farmhouse, the property once featured a general store with a post office, blacksmith shop, stave mill, woolen mill, flour mill, county school, an iron truss bridge over Hurricane Creek, and a Church of Christ Meetinghouse with an upstairs Masonic Lodge. In the early twentieth century, the Anderson Farm was perhaps the most progressive farm in the county. Today with many of the original buildings intact, it forms the focal point of Loretta Lynn's Westerntown. Operated by Loretta and her family, come see Loretta perform in one of her many concert dates in the open-air Pavilion. Tour the former home of The Living Legend, and take a glimpse into the life of country music's most awarded female vocalist. View Mooney's legendary Golden Eagle Jeep as seen in the movie Coal Miner's Daughter, along with other memorabilia throughout their home. While you're there, browse through Western town and visit Loretta's personal Museum in the old Flour Mill. Relax at the swimming pool. Cast your fishing line or canoe in Hurricane Creek. Go hiking throughout Loretta's sprawling ranch. Enjoy scheduled campfire shows with musical performances. You can camp out under the stars, stay overnight in our cozy log cabins, or park your recreational vehicle at Loretta's Family Campground. It is a come-as-you-are, do-as-you-please atmosphere with entertainment for the whole family, and much, much more! As the sun slants across the surface of Kentucky Lake, you might just call your boss and tell him you're taking an extra day off. The reason? You've been entranced by the Magic Valley.